Since there was such a long break between Jurassic Park III and Jurassic World, 14 years to be exact, it feels like it hasn't been that long since we had a new Jurassic Park movie to enjoy. Fortunately for those who enjoyed the recent return to Isla Nublar, we won't have to wait all that much longer to see some more dinosaur action, since Jurassic World 2 is coming out next summer. And according to Chris Pratt, we can expect a darker, scarier, unexpected experience. The actor is currently making the press rounds for Guardians of the Galaxy Vol. 2 and he couldn't avoid talking a little bit about Jurassic World 2. While speaking to Screen Rant, Chris Pratt did offer a few vague terms about what we can expect from the highly-anticipated sequel, though he couldn't say anything overly specific about the movie. Here is how he explains his time on set so far. Jurassic World 2 is currently filming mostly in London, but scenes will also be filmed in Hawaii, meaning that, despite the fact that the park is closed down, this movie will take us back to Isla Nublar. 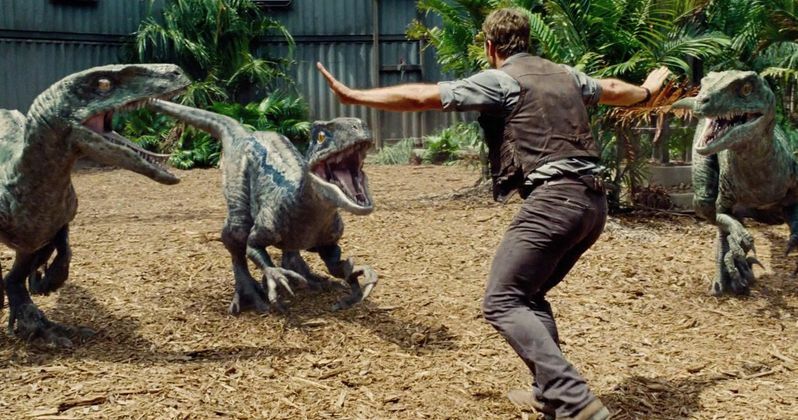 But it has been said that this movie will not just feature dinosaurs chasing humans around on an island, which speaks a bit to what Chris Pratt says about the movie being "unexpected." Luckily, more of those dinosaurs will be animatronic this time around. It has also been said that this movie will deal with the issue of these dinosaurs as actual animals and what rights they have in the world, as well as what to do with them now that they are not being used as amusement park attractions. No specific plot details for the Jurassic World sequel have been released by the studio yet, but it is suggested that there will be some sort of rescue mission taking place in the movie, though, this time it will be the dinosaurs who might need saving and not humans. There are also rumors that the idea of militarized dinosaurs will be explored further in Jurassic World 2. Outside of that, we have also seen a couple of official photos from the movie, with one featuring one of the new characters, a 9-year-old girl named Lucy and the other teasing some new dinosaur eggs that haven't yet been hatched. But outside of that, Jurassic World 2 largely remains a mystery. At least we have some idea of what to expect in terms of tone and hopefully, we will be getting a few good scares. The Jurassic World 2 cast has returning stars Chris Pratt, Bryce Dallas Howard and B.D. Wong, with new cast members including Toby Jones, Rafe Spall, Daniella Pineda, James Cromwell, Geraldine Chaplin and Ted Levine. Jurassic World 2 is written by Jurassic World director Colin Trevorrow and Derek Connolly. The movie is being directed by J.A. Bayonaand is set for release on June 22, 2018.